Kick off your visit on the 23rd (Sun): kick back and relax at Playa Manuel Antonio and then stroll through Mulguri Adventure. Get ready for a full day of sightseeing on the 24th (Mon): tour the pleasant surroundings at Playa Biesanz, then get a new perspective on things with Boat Tours & Water Sports, and then stroll through Parque Nahomi. To find where to stay, maps, other places to visit, and tourist information, read our Manuel Antonio route site . Vancouver, Canada to Manuel Antonio is an approximately 13.5-hour combination of flight and taxi. You can also do a combination of flight and bus; or drive. The time zone changes from Pacific Standard Time (PST) to Central Standard Time (CST), which is usually a 2 hour difference. Wrap up your sightseeing on the 24th (Mon) to allow time to drive to San Jose. Kick off your visit on the 25th (Tue): take an in-depth tour of National Museum (Museo Nacional), take an in-depth tour of Jade Museum, then take in the exciting artwork at Galeria Namu, and finally admire the masterpieces at Precolumbian Gold Museum. To see other places to visit, ratings, where to stay, and other tourist information, refer to the San Jose journey planning app . Drive from Manuel Antonio to San Jose in 3 hours. Alternatively, you can take a bus; or take a shuttle. In December, plan for daily highs up to 30°C, and evening lows to 22°C. Wrap up your sightseeing on the 25th (Tue) early enough to travel to Turrialba. Start off your visit on the 26th (Wed): delve into the distant past at Guayabo National Park and Monument. For where to stay, ratings, reviews, and tourist information, you can read our Turrialba trip tool . You can drive from San Jose to Turrialba in 2 hours. In December, plan for daily highs up to 30°C, and evening lows to 22°C. Wrap up your sightseeing on the 26th (Wed) to allow time to travel to Tortuguero. On the 27th (Thu), explore the striking landscape of Tortuguero National Park. To see ratings, where to stay, photos, and other tourist information, refer to the Tortuguero driving holiday planner. Traveling by car from Turrialba to Tortuguero takes 3 hours. 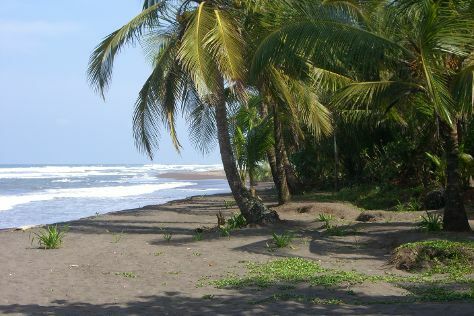 In December, daytime highs in Tortuguero are 34°C, while nighttime lows are 25°C. Wrap up your sightseeing on the 27th (Thu) to allow time to drive to La Fortuna de San Carlos. 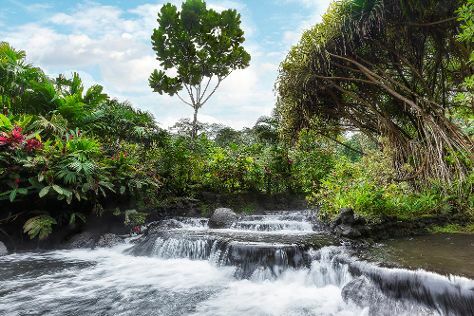 Get outdoors at Arenal Volcano (Volcan Arenal) and Tabacon Hot Springs. There's still lots to do: relax and float downstream with a rafting and tubing tour, take in the natural beauty of Baldi Hot Springs, take in the dramatic scenery at La Fortuna Waterfall, and hike along Ecocentro Danaus. To see photos, traveler tips, more things to do, and other tourist information, read La Fortuna de San Carlos trip itinerary planner. Drive from Tortuguero to La Fortuna de San Carlos in 3.5 hours. Alternatively, you can take a shuttle; or do a combination of taxi and bus. Finish your sightseeing early on the 30th (Sun) so you can drive to Tamarindo. Start off your visit on the 31st (Mon): enjoy the sand and surf at Tamarindo Beach, stop by Azul Profundo Boutique, then look for gifts at Organic Products by Coco Beauty Spa, and finally kick back and relax at Playa Avellana. 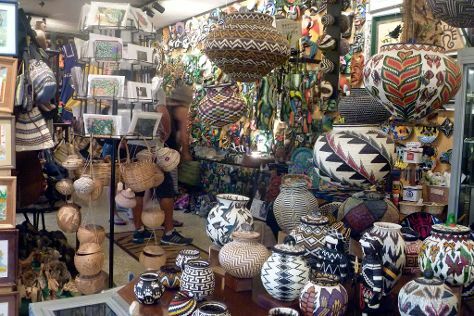 For more things to do, other places to visit, traveler tips, and more tourist information, read Tamarindo tour planner. You can drive from La Fortuna de San Carlos to Tamarindo in 4 hours. Other options are to take a shuttle; or take a bus. 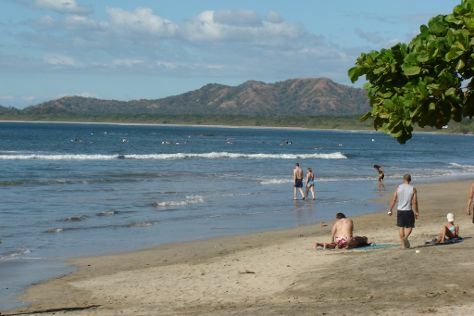 In December, daytime highs in Tamarindo are 32°C, while nighttime lows are 32°C. You will leave for home on the 1st (Tue).